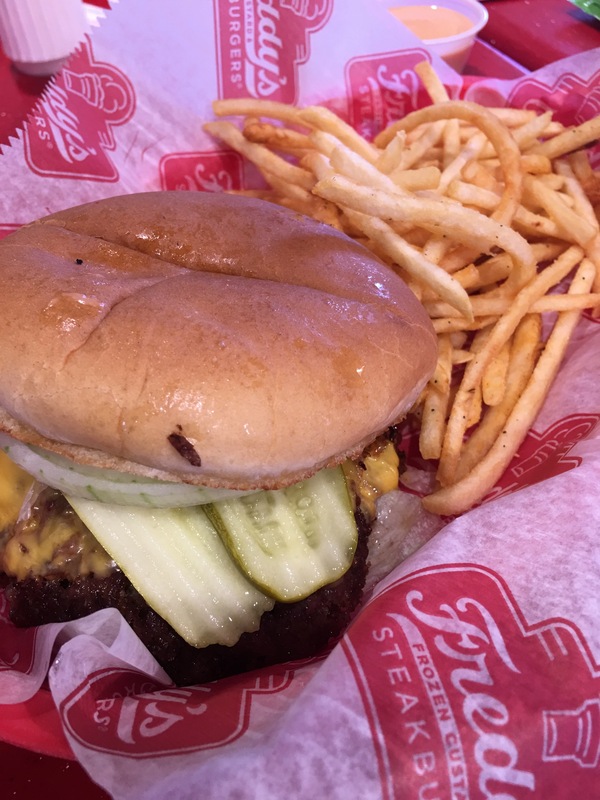 Freddy’s Frozen Custard & Steakburgers – Go There. Try That. Typically I write about local, non chain restaurants. However, when a new place, even a chain, moves into town I gotta check it out. Plus, who doesn’t love a great burger and fries?! When Freddy’s Frozen Custard & Steakburgers opened a location on Red Bank Road in Cincinnati, I couldn’t resist a little taste testing. 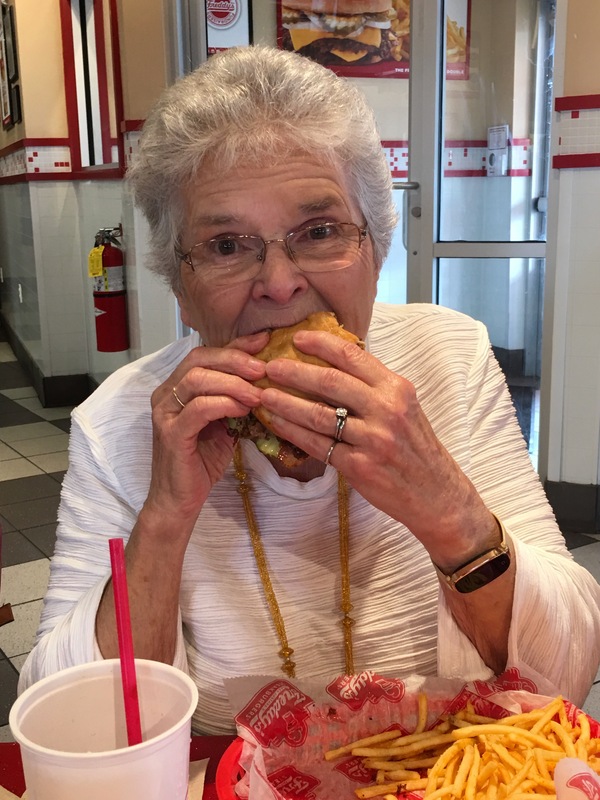 In fact, my entire family went to Freddy’s in Centerville for Mother’s Day. What can I say? We’re a burger, hot dog, and onion rings kind of clan. My Mom and I both love shoestring fries and the burgers at Freddy’s, made to order, are pressed thin so you get those crispy edges. 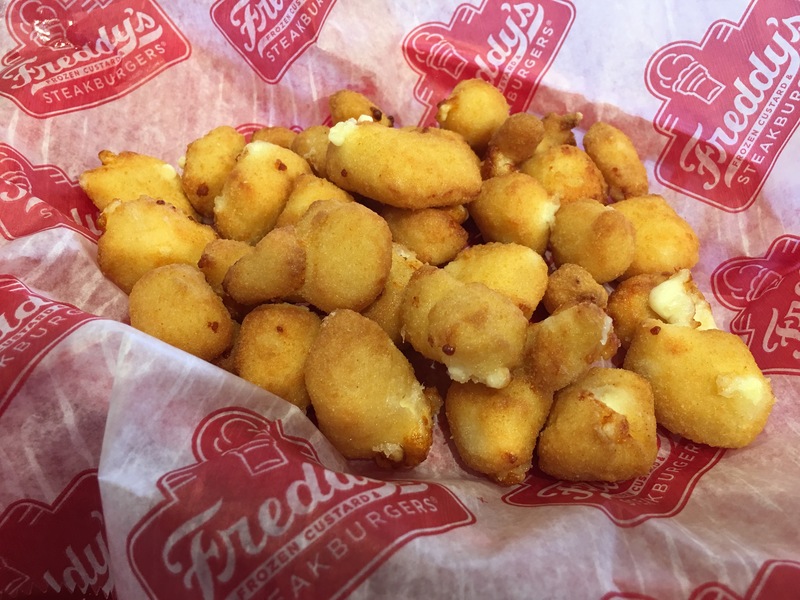 Plus, those cheese curds are the best in town. All six of us found something we loved on Freddy’s menu and all six of us, full from lunch, still ordered frozen custard and savored each creamy, smooth, rich bite. Cheese curds are a must! So here’s the thing. This is part restaurant post and part cooking post. 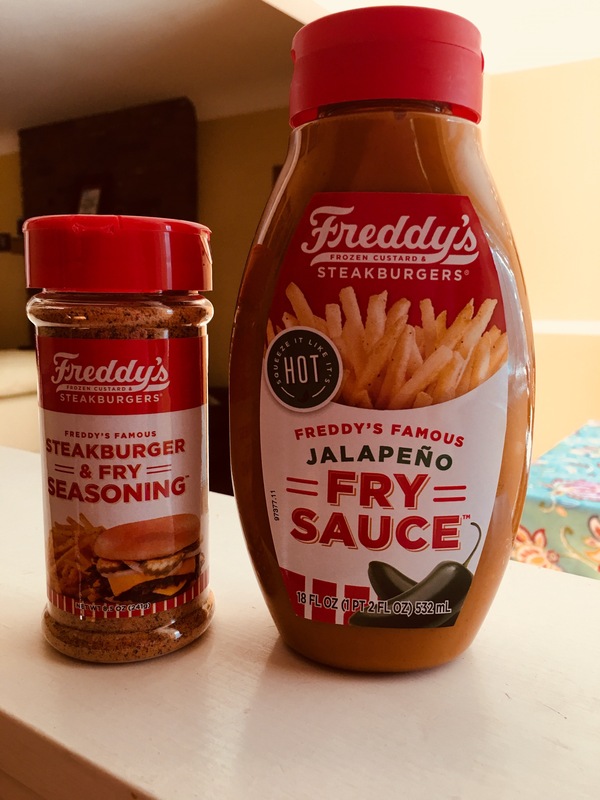 Freddy’s sells two items that I had to bring home: Steakburger and Fry Seasoning and Fry Sauce. The french fries at Freddy’s are dusted with this awesome seasoning. I didn’t even use ketchup which is way unusual for me. And the burger I ordered, the Double Steakburger California Style, had this magical sauce on it. If you’re a Big Mac/Big Boy kind of person, this is even better. Ready to use at home. But, I am trying to cook healthier at home and we just got a new grill. 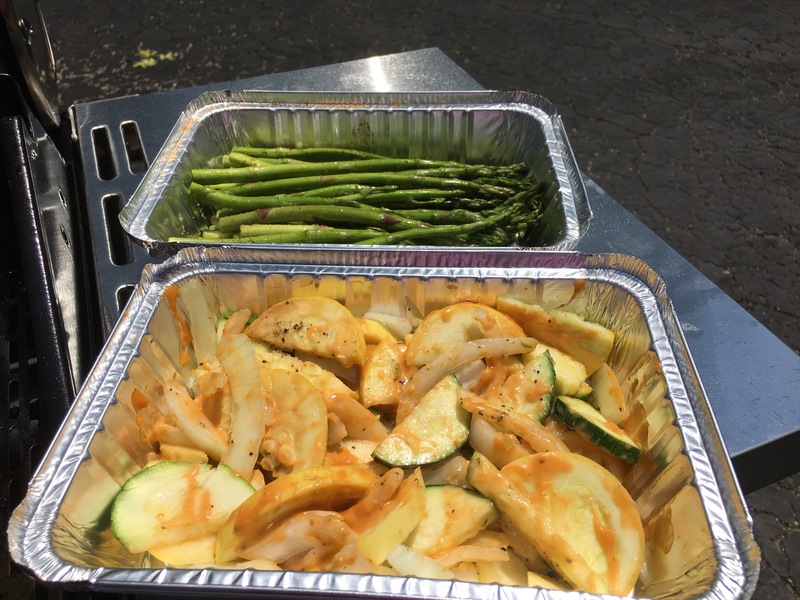 I decided to take that seasoning and that sauce and use it for grilling seafood and veggies. Basically, I made this up. I basted the shrimp and the zucchini with the Jalapeno Fry Sauce. The potatoes and asparagus got a drizzle of olive oil and a healthy coat of Steakburger and Fry seasoning. 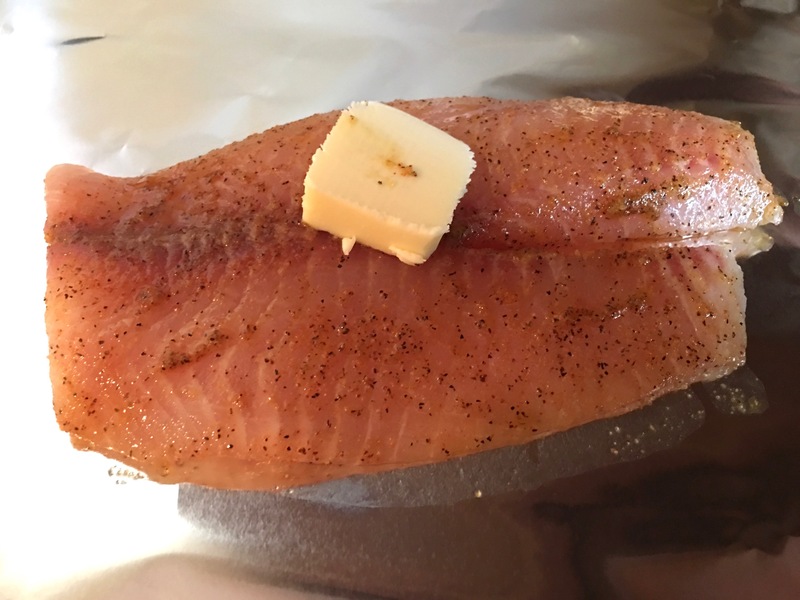 Then, for the fresh Tilapia, I used some grapeseed oil and the Steakburger and Fry seasoning. 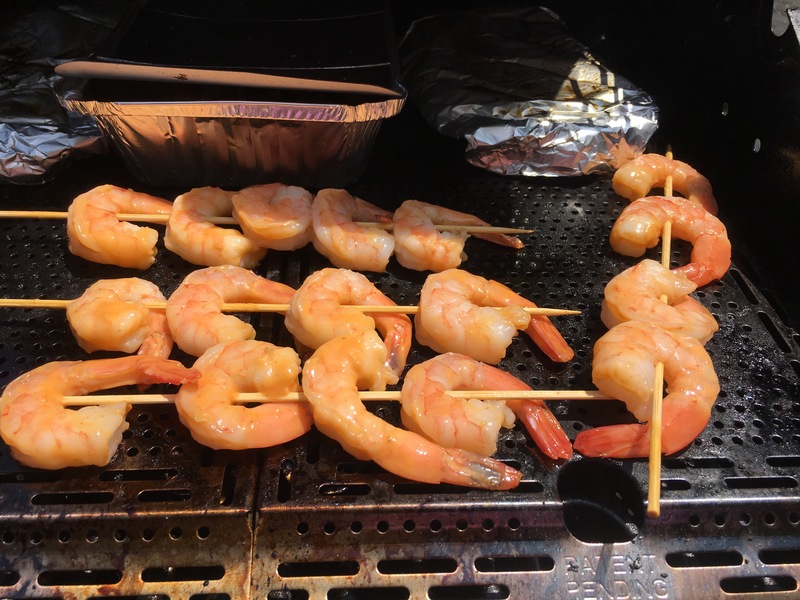 I wrapped the fish in aluminum foil, threw the veggies is disposable trays, and skewered the shrimp. All of it went on the grill at medium heat! Veggies in Fry Sauce and Seasoning. Shrimp basted with Fry Sauce. This meal was delicious (if I do say so myself), pretty darn healthy, and seasoned perfectly! The shrimp basted in the Fry Sauce was tender and spicy! So good. 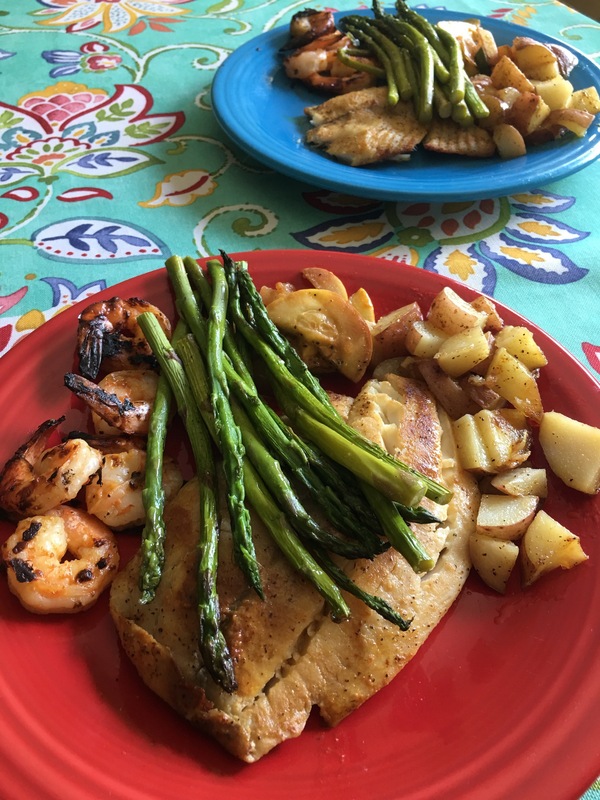 I loved the veggies, and the potatoes, but that fish was especially a-maz-ing with that seasoning. I don’t each much fish and I’m trying to improve that. This was incredible; I will be repeating this meal soon. And, tip, a little seasoning goes a long way! I’m excited to use this seasoning on burgers next. 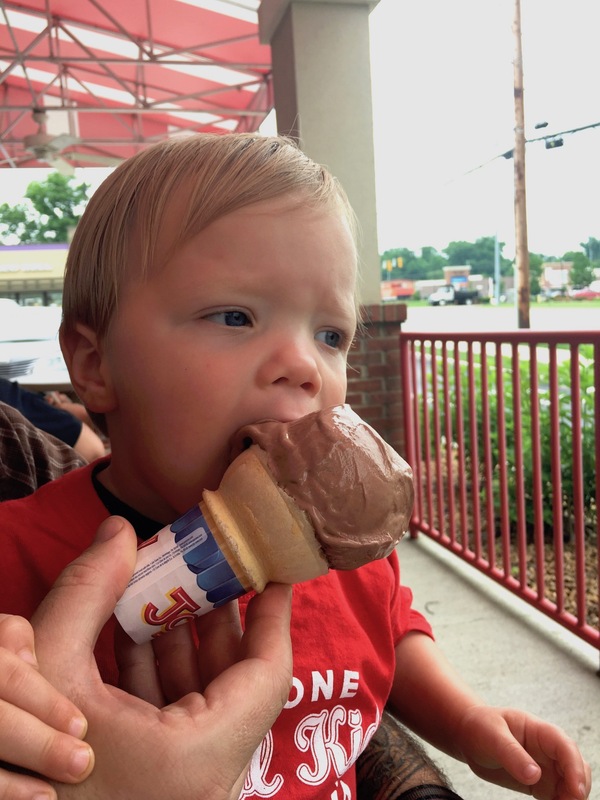 Be like this cool kid enjoying Freddy’s custard. This is post is sponsored by Freddy’s Steakburgers and Frozen Custard, but these are my opinions! Whether dining in, driving thru for custard or cooking with Freddy’s Fry Sauce or Steakburger and Fry seasoning, I am a fan. I know Freddy’s is fast food, but it is definitely elevated and fresh fast food. I’m curious, what’s your favorite Freddy’s order? GO THERE (Freddy’s)! TRY THAT (Steakburger and Fry Seasoning, California Burger, Cheese Curds, Custard)! I did the banana and Reese too, but with chocolate custard! Delish.